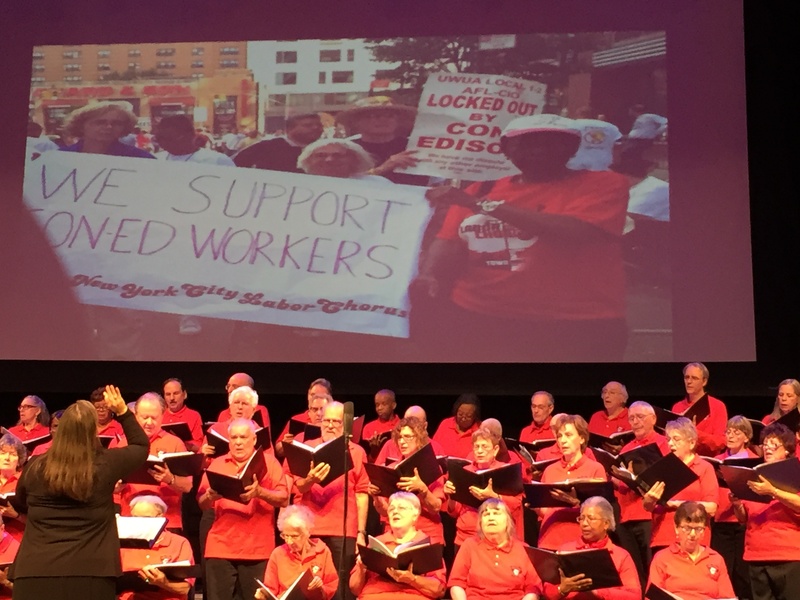 The New York City Labor Chorus, with 75 members representing over 20 labor unions and District Councils, was founded in 1991. 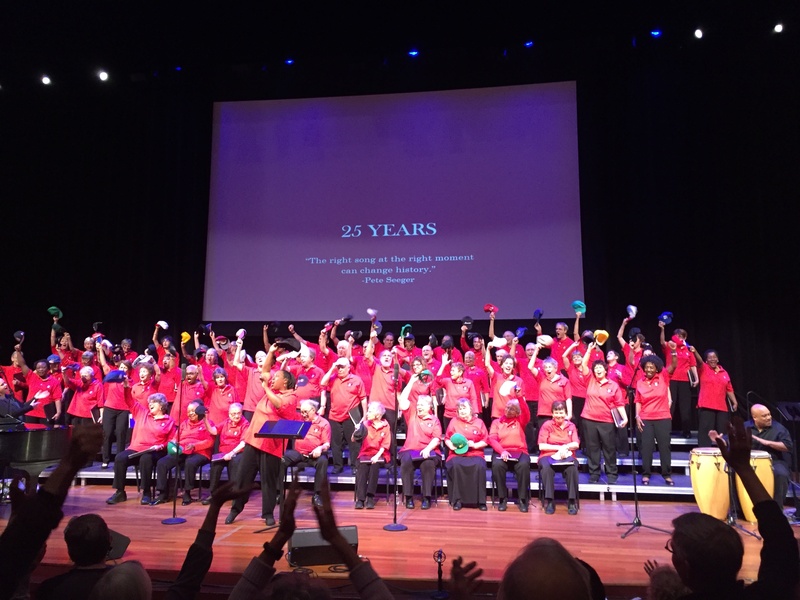 Our Chorus promotes union solidarity by expressing through song the history and ongoing struggles of workers for economic and social justice. 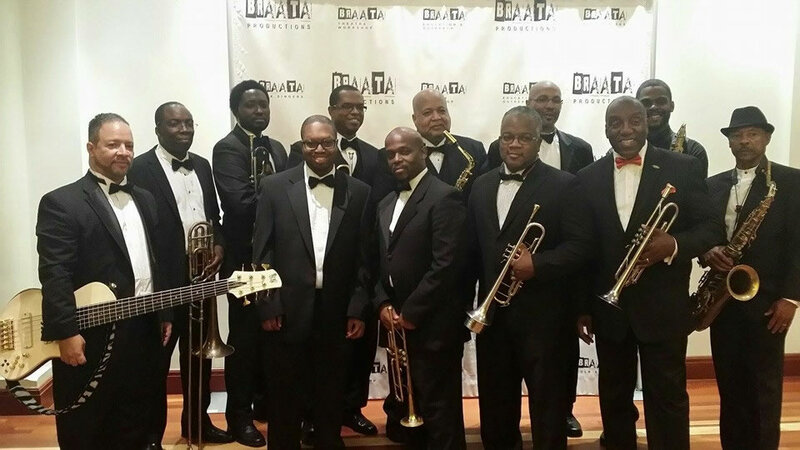 Our dynamic repertoire combines the power and culture of union music with the great gospel, jazz, classical and folk traditions. Organized labor, united with its community allies, is an irrepressible social force. 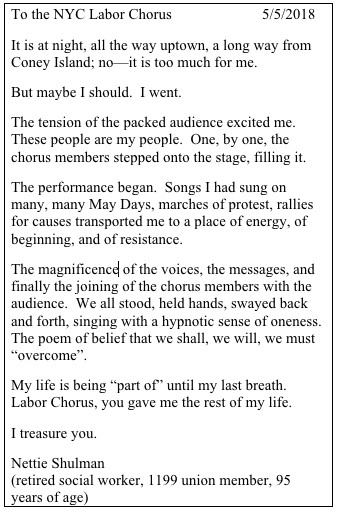 This is the message of the New York City Labor Chorus. 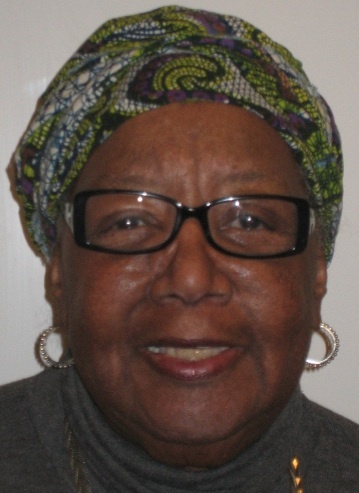 Click here for a 2012 Los Angeles Times article that gives a real flavor of who we are. ... or here for a 2011 New York Times review. 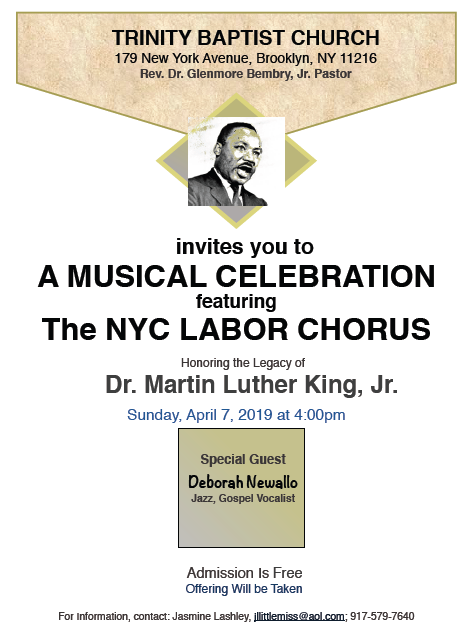 PLEASE JOIN US TO CELEBRATE THE LEGACY OF Dr. Martin Luther King Jr.
Because of severe weather, our planned concert on MLK weekend was postponed to April 7. 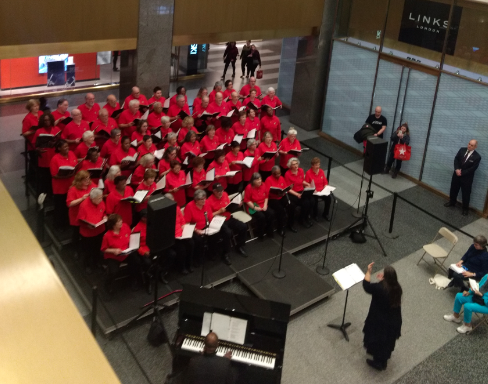 Each December, the Bernard Kaplan Memorial Music Program, a free music program started in 1963 that continues in the name of its late founder, invites the chorus to perform in the atrium of the MetLife building. This occurs during the evening rush, and, in addition to the 80 or so people who take seats and stay, hundreds of commuters stream through the atrium and are entertained. It's lots of fun! 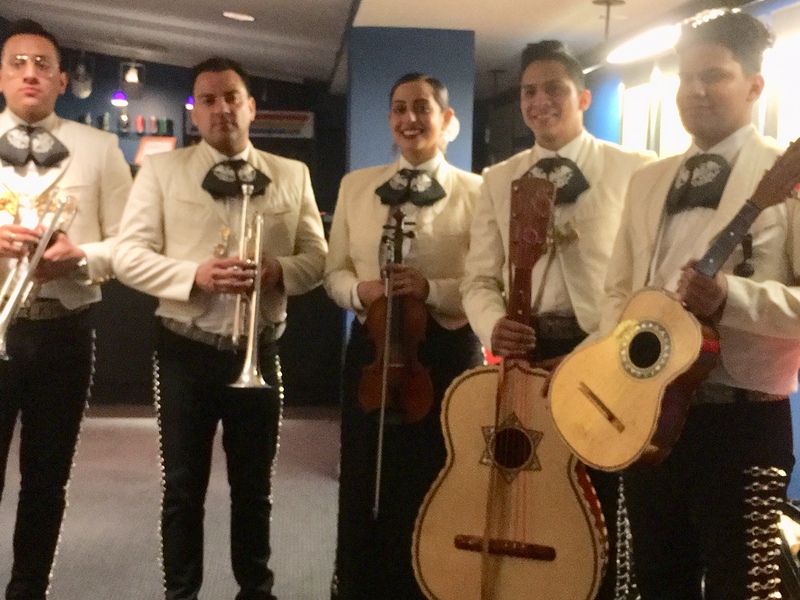 Saturday, Nov. 10th, 2018, at Peoples' Voice Cafe! We filled the hall and the audience was elated! To get a taste of the concert, click here to see and hear our performance of "Life on Earth So Amazing," based on Handel's Hallelujah Chorus, with new words by Bass Jeffrey Vogel. This will take you to YouTube, away from our site. Or to see other pictures of the chorus, click here.